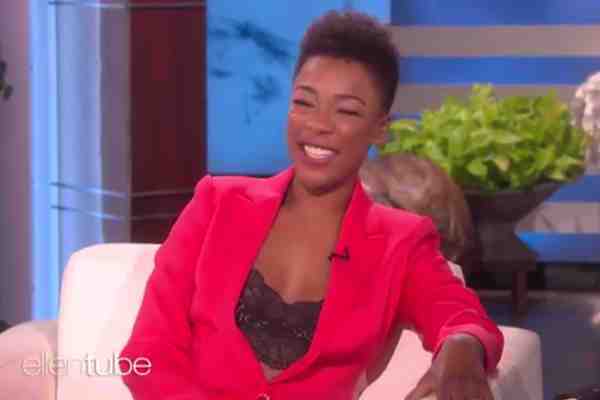 Out actress Samira Wiley has said that one of her Orange is the New Black co-stars outed her before she was ready. Appearing on the podcast Nancy, Wiley said that she cried when she read about her co-star talking about her being an out lesbian. “Someone from my cast – they were doing an interview when they were talking about out gay actors in the cast and they mentioned my name, and I saw it in print and I cried. I cried a lot,” she said. Wiley won an Emmy for her portrayal of Moira, a lesbian, in Hulu's The Handmaid's Tale. Wiley, who met her future wife, writer Lauren Morelli, during her run on OITNB, said that her character on that show helped her come to terms with being out. “I think falling in love with Poussey, which is a real thing that happened to me, helped me fall in love with myself,” she said. She added that being outed felt like she was robbed of something valuable.